It is exciting when you discover a new aspect to a place you think you know well. Recently I heard about an old orchard in my borough which has survived under the care of some London monks (a rare breed in themselves). An orchard, in Islington? It’s true! And it is the borough’s only one. The green dome of St. Joseph’s church and monastery is a local landmark. Marooned on a narrow triangle at the top of Dartmouth Park Hill, its imposing Victorian Romanesque bulk looks out over London like some steampunk Bond villain’s lair. 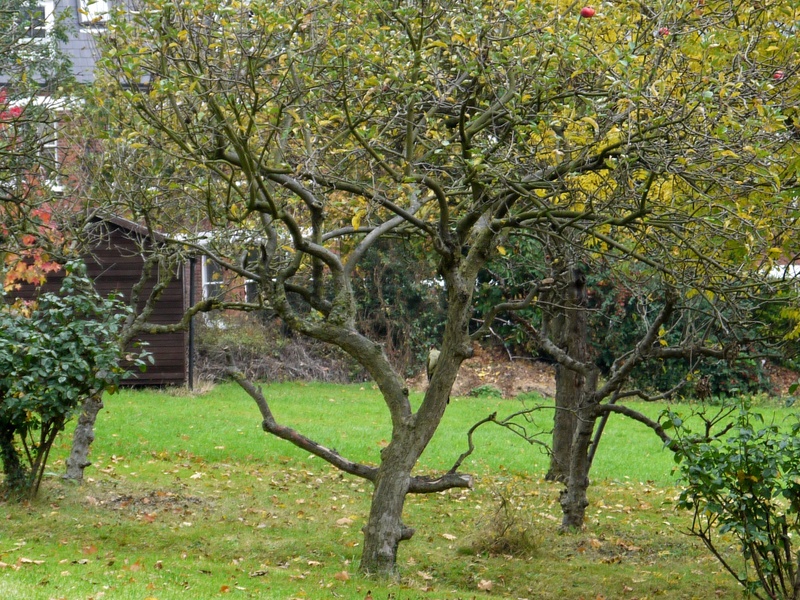 But I never guessed that behind it lay a large and rustic sloping garden, containing perhaps half a dozen mature apple trees (Malus domestica) and a few elderly but well cared for roses. I saw a Green Woodpecker (Picus viridis) in this quiet, old-fashioned place on my last visit. I came across this gem during recent Apple Day activities at the London Wildlife Trust, through the London Orchard Project who work to create new city orchards wherever they can find an appropriate patch of land. 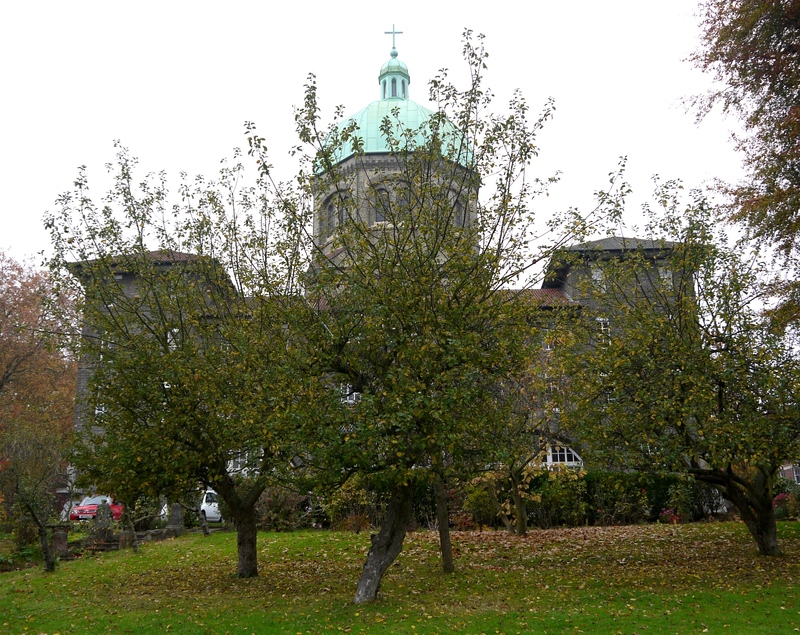 Sadly this unassuming but authentic survivor is under threat of being sold and developed – proposals for the demolition of the monastery and the construction of a mixed housing development on the monastery site, the garden and orchard are well advanced. Apparently St. Joseph’s is in a poor state of repair, and selling the land will raise money to patch up the church and build more comfortable accommodation for the dwindling population of elderly monks. But many feel that a development here will represent the defeat of charm, tranquillity and community at the ever-tempting hands of Mammon. A PR agency has been hired, suggesting the church and developers are aware of considerable local opposition to what is clearly a hugely controversial scheme. The site is being considered for designation as a Site of Borough Importance (Grade II) for Nature Conservation. If this happens the development is less likely, but it is up to the concerned residents of Highgate and further afield to make the London Borough of Islington take note of the strength of feeling about this precious green space. If you care about saving this oasis, please consider signing the online petition, particularly if you are a resident of Islington, the borough considering the planning application. This part of London has a historic connection with fruit-growing, another good reason to protect this rare survivor. 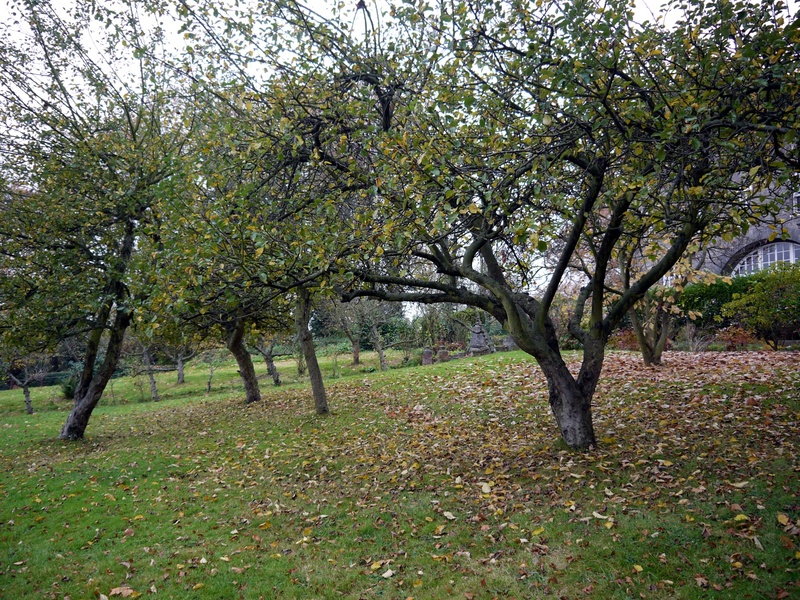 Before the Victorian railway-powered city consumed the green slopes to its north, the area was well known for its orchards. A faint echo of the past survives in some of the local street tree plantings – you may be interested to read my earlier post about the perry pear street trees in nearby Holloway. What would that one-time Highgate dweller John Betjeman think? Hi, I can’t believe my luck finding your blog! I am helping with a project to identify notable trees, orchards or woodlands within the vicinity of each of the London tube and overground stations for a new tree app. Do you mind if we use some of your information for a spreadsheet to help us? Also, if you have any other info regarding notable trees, would you be willing to share it? Glad that my blog is of interest, feel free to use the info as a starting point in your virtual travels. Obviously copying any of the content would not be credited… Other sites that you should look at are the London Wildlife Trust and GIGL (Greenspace Information for Greater London) who have just launched the iGIGL mapping website showing you all the open spaces in London in great detail.